Have you been satisfied with the service you have received from Dolphin Motorhomes? Why not fill in this short online survey and vote for us! If you have bought a motorhome since January 2012, you can vote now! 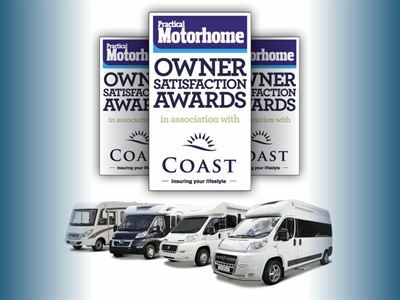 The awards has been going since 2004 and celebrates the best in motorhome reliability and build quality, plus great customer service offered by supplying dealers. It is the only survey of its type to feature both new and pre-owned motorcaravans.